Recently, I have been working on “finding my tribe” or networking with other bloggers. I have joined a couple of blogging groups on Facebook, done an Instagram photo of the day challenge, and focused more energy connecting on Twitter. I have also started posting to link-up parties on various sites. I didn’t understand link-ups until very recently (like only a month ago, for reals). It was something I heard mentioned occasionally on social media, but I had no idea what people were talking about until I accidentally found one on the Sitsgirls site. Link-ups are great opportunities to share your work, discover new blogs and maybe even get featured on another site! I have really started to connect with a few other bloggers due to a Saturday morning link-up, and I am working on cultivating relationships at other parties. So in an effort to help others connect, here is a list of parties for each day of the week. Get out there and link-up! The Monday Madness link party is the place to add your best family friendly post for the week. You can link up to 3 posts each week, and the host pins the links added to her Monday Madness Pinterest board. 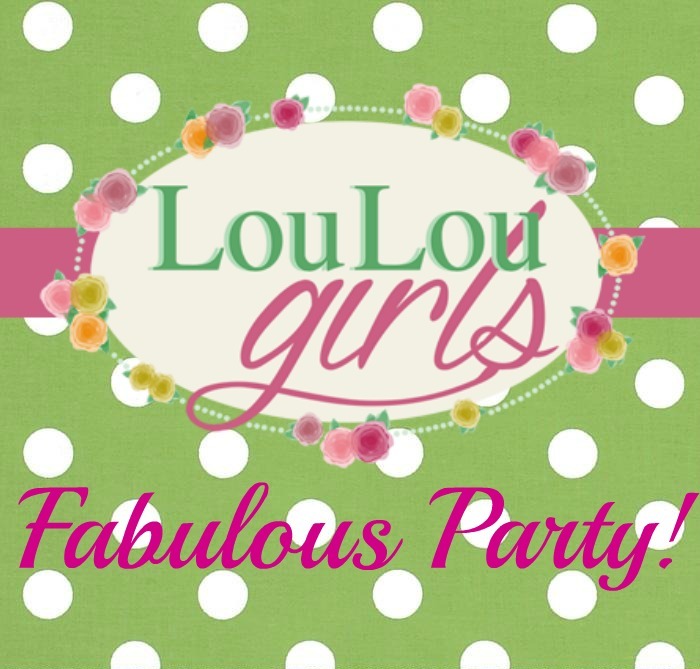 The Lou Lou Girls Fabulous Party is the place to post your furniture makeovers, home decor, recipes, DIY projects, crafts and thrifty finds. The hosts of this party tweet and pin every link added. The Totally Terrific Tuesday party actually starts at 10 pm on Monday and has a “no rule” rule, link up your best content for the week on any subject! Two Cup Tuesday is the party for your recipes, projects, DIY and organization posts. She asks that you only link new posts to the party-no repeats! Add your recipes, parenting tips, crafts and ideas at the Mommy Club link-up and your post is shared on four different blogs! 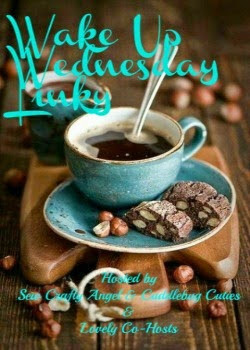 Wake-up Wednesday linky party is for any family friendly content. Your post could be shared on social media by 6 different bloggers. Traffic is the party to add your older content and it is okay to link more than one post! Just remember to share on social media with #trafficjamweekend. The Thursday Favorite Things link-up is the spot to feature your favorite post or a post about your favorite thing 🙂 The hosts ask that you visit at least two other links. This is a really cool party: the hosts pin every link and everyone pins the featured posts! The Home Matters party is for posts concerning matters of the home: recipes, DIY, relationships, kids, marriage. You can add up to three posts if they haven’t been added before. The Sitsgirls sharefest link-up party is the spot to add your newest and best post for the week, and don’t forget to join the twitter party #sitsblogging! The Small Victories Sunday Linkup is a good spot to share your best posts of the week, you can add up to three. The host asks that you comment on at least 2 different posts for every link you add. The Nifty Thrifty Sunday is a link party where you can add a post on any topic, just try and check out the link above yours and show some appreciation to your fellow bloggers! What is your favorite link-up? My favorite is SITS Sharefest! I love how much variety I find there too which is nice since I write on a variety of topics! Plus, the twitter party is a lot of fun! Thanks for the list. I found a few new ones. I agree linky parties are so time consuming. I’d love to learn more about how you are finding a tribe and if participating in FB groups has been beneficial. 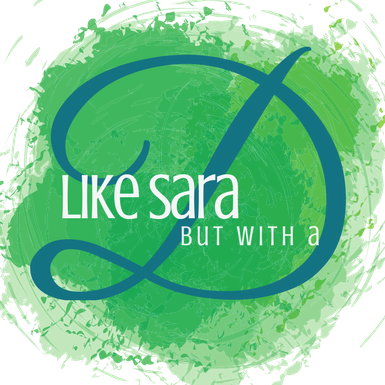 As a relative newbie, I’d love to find a bloggy friend (or two) to help me figure this whole new world out! Visiting from Saturday Sharefest. Victoria, Thanks for stopping by! I have found FB groups can go either way. One of the groups I have joined is HUGE and it is just so many posts and so much information it can be overwhelming. I have found a lot of useful information there, but some days it is just too much to even try and read. Now, I am also a member of a smaller group (around 50 people at the moment) and the smaller group is much better for making connections and having actual conversations. I will email you a link to the group in case you would like to join, it is private and she is capping the member total at 75. Thanks again for coming by my blog today. I have blogged about how to network often. I actually put together a pretty comprehensive list how to meet new bloggers by networking. I hope it’s okay if I leave the link here. You may find it helpful. a Blogger’s Pit Stop Linky Party on Thursdays. Some Mondays, my linky gets over 400 guests. WOOO what a great list! I am SO new to the whole blogging world and the thing that I am failing at miserably right now is FINDING link ups! You’re my hero! I’m going to stick to 2 or 3 per week right now, so I don’t spend all my time linking and reading lol. Thanks so much for this Dara! Glad I could help Carly! I had a hard time finding them at first as well. 🙂 Thanks for stopping by. Thanks for sharing this list! I enjoy Link Parties and try to do a few each week. Another one you might want to add is Turn It Up Tuesday (epicmommyadventures.com). It starts Monday nights at 8pm. Everyone is encouraged to share as many posts as they like old and new.